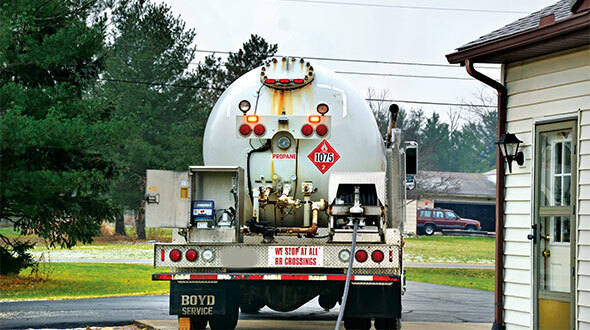 From soaring U.S. propane exports during part of the winter heating season to extreme weather later in the year and everything in between, 2017 in the propane industry didn’t lack for action. For starters, Donald Trump was inaugurated on Jan. 20 as the 45th president of the United States. The Republican administration offered the National Propane Gas Association (NPGA) with a new chance to position the industry into the most favorable business environment. As we reported early in 2017, yearly propane gallon sales, reflecting the latest available data from the American Petroleum Institute (2015), took a step backward, as the industry sold 8.5 billion gallons that year. Several months later in 2017, the industry completed its second straight mostly mild winter heating season, conjuring further calls for retailers to pursue year-round revenue sources. A sizeable drop in propane inventory – of 40 million barrels – marked the January-through-April time frame, despite a fairly mild winter heating season. The reason: U.S. propane exports, an industry trend worthy of retailers’ attention due to their impact on domestic supply and pricing. ■ Help wanted: The topic of finding and retaining qualified workers in the propane industry continued to gain attention. NPGA established a workforce development task force that met for the first time early in the year. ■ Propane Expo: In April, Nashville, Tennessee, played host to a second-straight successful NPGA Propane Expo. The industry’s largest event drew another 4,000 total attendees to the Music City. 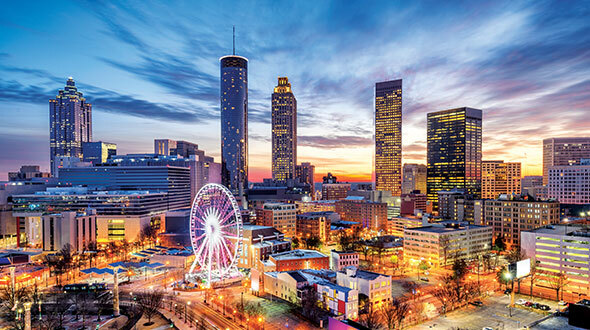 The show moves back to its long-running host city of Atlanta in 2018 and 2019. NPGA is working with the Atlanta Convention & Visitors Bureau to help sell the city’s attractions. 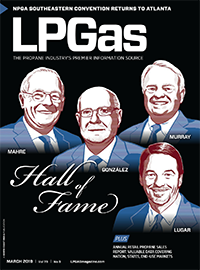 ■ “Major” news: To no one’s surprise, AmeriGas topped our 2017 list of the industry’s largest propane retailers, as the Pennsylvania-based company sold more than 1 billion gallons in the prior year. The next two largest retailers, Ferrellgas and Suburban Propane, made news this year not necessarily for their gallon sales but for positions taken against NPGA membership issues. Jerry Brick, NPGA’s new chairman of the board from North Star Energy, was tasked with reunifying the associations. ■ Changes at PERC: “Blue the dog” made it to Year 2 in a relaunch of the industry’s consumer education campaign, but the Propane Education & Research Council (PERC) later announced a shift in the program that aimed initially to improve the public’s perceptions of propane. PERC is seeking more concrete return-on-investment metrics from an evolving campaign that looks now to promote the adoption of propane appliances and reach consumers closer to the point of purchase. 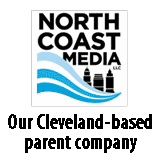 To help make that happen, the council raised its assessment rate on odorized propane gallon sales to the maximum five-tenths of a cent per gallon, expected to generate $41 million in revenue. The year also saw the retirement of Roy Willis, PERC’s first and only president and CEO who held the position for about 20 years. PERC promoted propane industry veteran Tucker Perkins to replace Willis. ■ Market specific: Forklifts, representing one of propane’s traditionally strong demand areas, attracted the attention of industry leaders seeking to find ways to stem market-share losses, most notably to electric models, in recent years. PERC hosted a forklift summit in Chicago to evaluate opportunities and challenges in the market. ■ In a buying mood: Acquisitions activity seemed steady throughout the year. 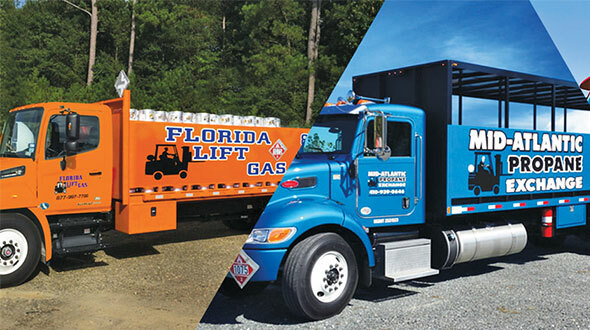 Several notables: Longtime autogas solutions provider CleanFuel USA sold its assets to Agility Fuel Solutions. On the retail propane side, NGL Energy Partners sold operations across 10 western and midcontinent states to DCC LPG, a player in the European market. Pinnacle Propane also changed ownership, from American Midstream Partners to multinational company SHV Energy. ■ Emergency situations: A string of natural disasters – Hurricanes Harvey, Irma and Maria, as well as raging fires out west – put a large part of the nation on edge but also revealed the versatile, helpful qualities of propane during emergencies. 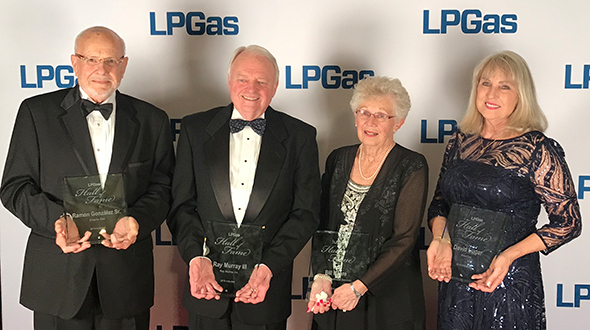 ■ With sympathy: We mourned the losses of propane industry members, including LP Gas Hall of Famer Glenn Miller of Miller’s Bottled Gas, Howard Sargeant of Lakes Gas, and Diana Price and Jane Stroupe of AmeriGas.